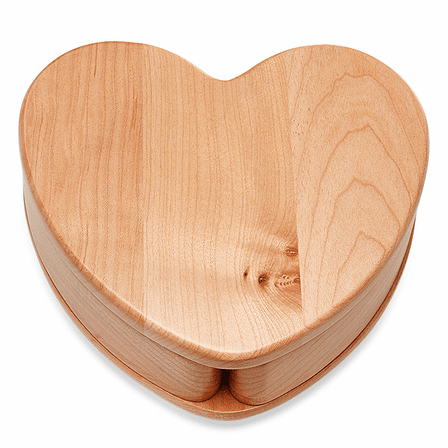 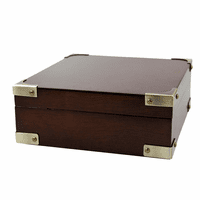 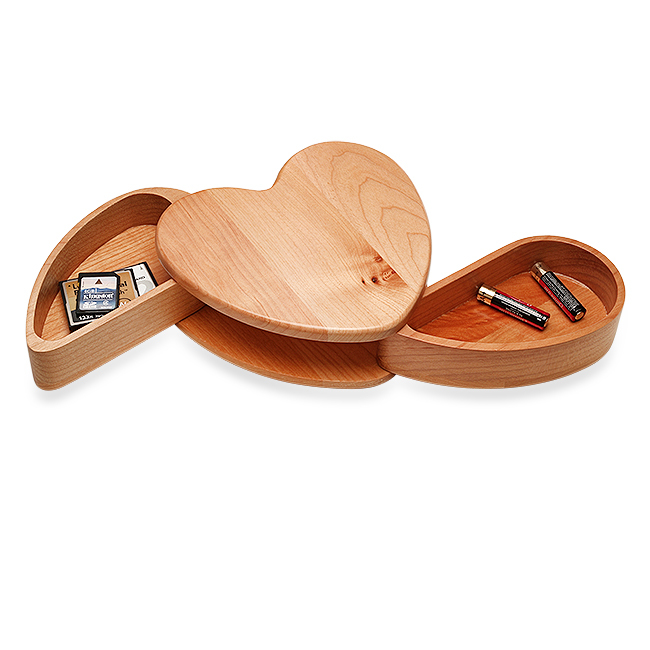 A sweet gift of love she will treasure forever, this solid maple heart-shaped keepsake box features two swing-out drawers that will hold her trinkets on desk or dresser. 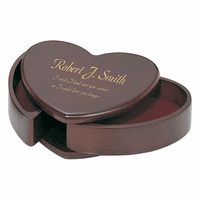 The top of the box can be laser-engraved with up to 6 lines of text in available fonts and sizes, so it can be personalized with her name, a date or occasion, and a message. 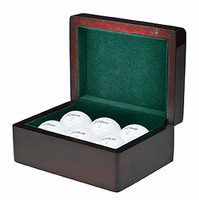 Personalization is free, and we will package the keepsake box in an attractive gift box, ready to surprise a special girl or lady in your life! 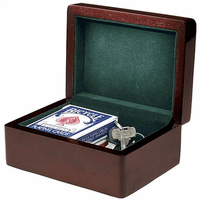 Dimensions: 6 1/4" x 6" x 7/8"